Concealed carry of their firearm is a normal thing for those who own one. It’s impractical to show off your firearm inviting awkward inquests from the authorities. There are many types of gun holsters that vary in size and form, and probably the one of the most popular are the inside the waistband or IWB holsters. 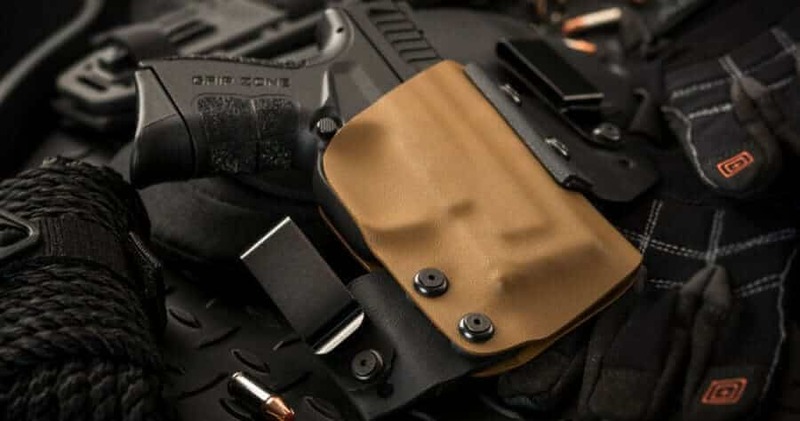 Read more of this article to know more about the best KYDEX IWB holsters that you can buy in the market. 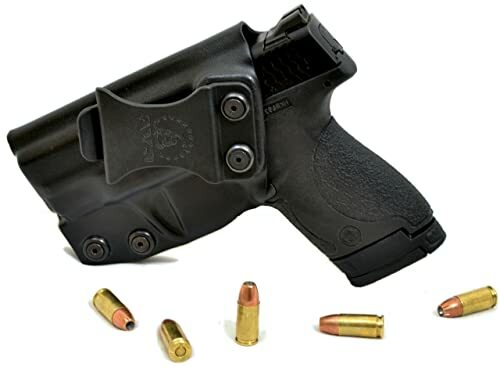 How to Choose an IWB Holster? First off, KYDEX is a material used to make gun holsters. Its main competition is leather. Leather was initially the material used by many gun owners, but as technology improved, more and more people now prefer KYDEX. Why did it happen? First, leather smells good and has appeal to the eyes. But before being comfortable with your leather holster, it demands a break-in period. You also have to maintain it from time to time because it is sensitive to temperature and moisture. If a leather holster is wet while the gun is in it, the quality would easily degrade. Leather holsters of poor quality can be dangerous and re-holstering can be burdensome. But with KYDEX, it is the complete opposite of the leather. It doesn’t need a break-in period, doesn’t need maintenance unless wiping the dirt off when it becomes filthy. Also, it is not sensitive to temperature and moisture. Because of the sturdy structure, its appearance before your buy a KYDEX holste would still be the same after a long time. Main features of this material are being waterproof and scratch resistant. KYDEX has been the top material for gun holsters spanning decades. Before, KYDEX wasn’t called as its name today until 1997, when it was purchased by KYDEX LLC. The original material was made in 1960s by Rohm and Haas Company. It was an acrylic-polyvinyl chloride thermoplastic material commonly found in aircraft partitions, safety helmets, and in gun holsters. Since KYDEX is a combination of acrylic and polyvinyl chloride, it got its rigidity and formability on the former while the toughness and chemical resistance came from PVC. KYDEX is generally more durable than cheap plastic because the way it was made was from pure polymers that were heated and then molded into a form. After cutting off the excess and polishing, you get the finished product that can last for a lifetime. There are a lot of IWB holsters that are made from KYDEX, however, what’s the best choice to make among that large selection. 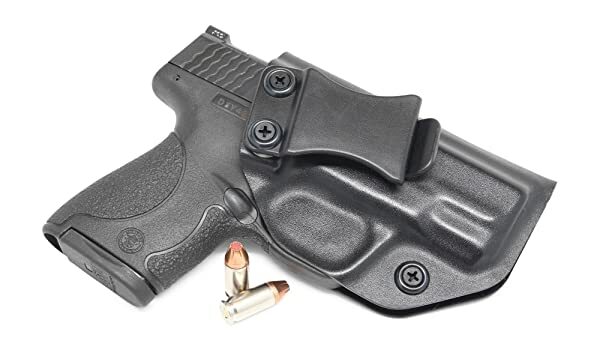 In this section, we will feature five of those KYDEX IWB holsters to help you decide. 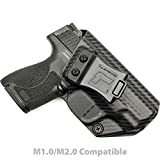 This specific holster carries Smith & Wesson M&P Shield 9/40 but this type of holster can carry other handguns such as Glock G 42, Taurus 111/140, and the like. 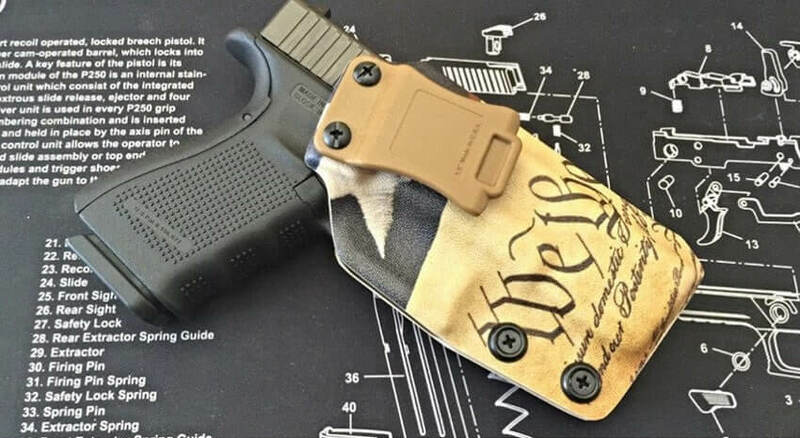 Using this IWB holster for your everyday wear won’t pose any problems because concealment is its number one feature. Having an adjustable cant (or angle) from 0-15 degrees, you can position it anywhere you like it. The holster has an adjustable retention for maximum security of your handgun. It’s also lightweight at 2. oz and is attached to your person via belt clips. The KYDEX material is measured at .08”, enough thickness for rigidity. Special feature of this one is its Full-Sweat Shield where its function is already obvious from its name. Your gun is kept dry and the feature helps you to easily re-holster at any time. There’s also the ‘Posi-Click’ Audible Lock System to let you know that the gun is properly holstered. Concealment Express IWB holsters are made in the USA with the highest grade materials and all come with a lifetime warranty. You won’t need to look at other gun holsters other than this one. 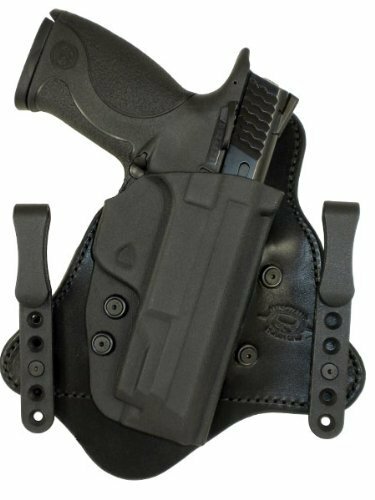 This is a hybrid holster which means that it’s part-leather on the backside while it’s KYDEX on the front shouldering the gun. The leather backing provides supreme comfort and aesthetics to the IWB holster. Named as Minotaur MTAC, this IWB holster is capable of bringing you the advantages why KYDEX holsters are widely popular. This IWB holster is meant to be carried on the 4 o’clock position if your front is the 12 o’clock. The slim profile of the gun holster minimizes the exposure or bulging of the gun inside your pants. Minotaur MTAC has a special feature called interchangeable spare bodies wherein you can swap out the KYDEX half-shell out with another that fits with another gun. This feature then allows you to use one holster for different kinds of handguns. An IWB holster created by Tulster, it is made with maximum concealment in mind. Though this one is the most expensive among the bunch, you surely get what you paid for. 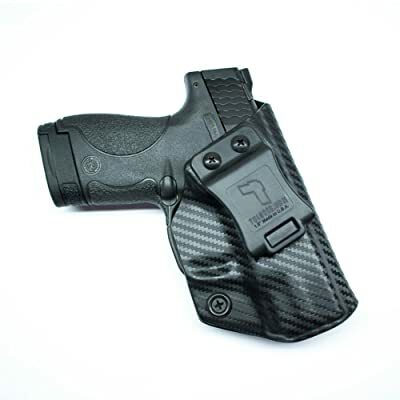 The holster is aesthetically impressive with its pure black finish. It has a smooth edge and keeps the material used to a minimum so that you feel comfortable and secure. The trigger guard is undercut to there would a higher grip on the handgun. The magazine can be easily released while being holstered in this way. It also has an adjustable cant of 0-15 degrees, and adjustable retention so that your handgun stays stable while you do those difficult physical activities. You also get to experience the Full Sweat Shield feature that helps you re-holster easily. Re-holstering and drawing your weapon is beyond quick as the IWB holster is equipped with 1.5” Quick Clip. Smith & Wesson handguns are one of the top choices when it comes to concealed carry. It’s no wonder that many holsters have specific models for specific handguns like this one. An IWB holster created by CYA Supply Company, this model is for S&W M&P Shield 9mm and 40 calibers or 9/40. The IWB holster has a slim design for utmost concealment, easy retention to stay secure on your waistband, and adjustable cant. Belt clips are used instead of safety loops for this IWB holster. However, these clips are made of nylon and it is guaranteed to have maximum strength. The holster is handcrafted in the USA so the quality is surely guaranteed. Not only that but when you buy one holster, it already has a lifetime warranty. All you need to do is select the gun model and choose either the left or right hand configurations. 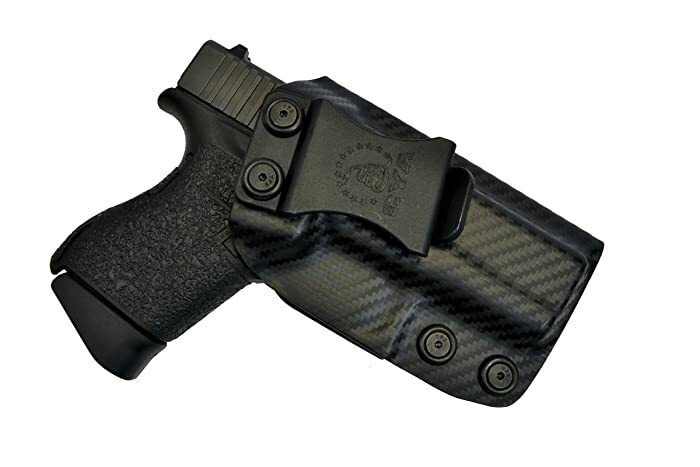 Another IWB holster by CYA Supply Company in this list, but this one is for Glock 43. 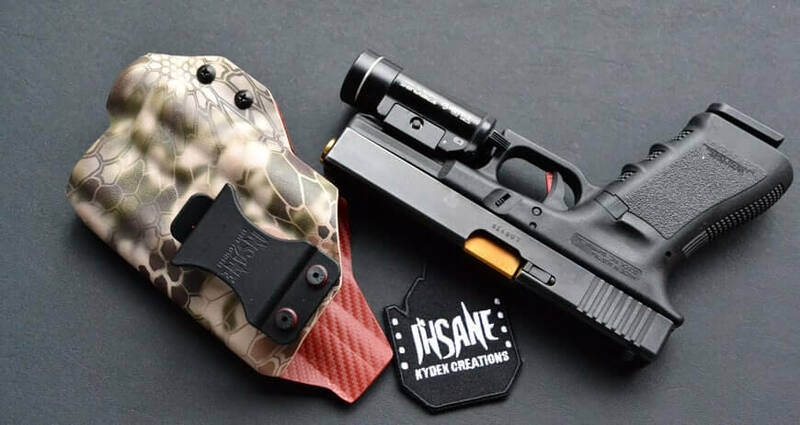 The company is known for quality holsters that are made with keen attention to the materials, design, and processes used at an affordable price! The company is located in Texas, USA. This one is made of Boltaron thermoplastic and not the usual KYDEX. Boltaron is known to be stronger than KYDEX in terms of impact resistance, hardness, and can handle higher temperatures. Boltaron is scratch resistant and chemical resistant just like KYDEX. Using this particular holster and you get lesser friction when you do drawings, re-holstering. This, in turn, retains the quality of the holster for a long time because there won’t excessive wearing from repeated re-holstering. It also has an adjustable cant of 0-15 degrees. When you buy this one, you will need to provide information about your hand orientation. Inside the waistband holsters are very popular for those who like to carry their firearm around while not being detected. It is very practical for use these holsters because you can easily hide it inside your waistband or under any garment. No one would panic since they don’t see it through the naked eye. This one is the main objective of most gun holsters. Of course, an ideal IWB holster shouldn’t protrude on someone’s waistband. In fact, if you’re wearing an IWB holster that fits you right, you have the element of surprise against your attackers. Concealing your carry is extremely important so that nobody may be able to steal your weapon from you. Also, it keeps you away from uncomfortable and awkward probing by local authorities. Needlessly, even if you have legal papers, having an IWB holster saves you time and effort. Comfort is all about how you place your holster. The position of the holster while inside the waistband depend on how you prefer it to be. However, you must consider the angle wherein the gun would most likely be safe. Common positions are: 4 o’clock for the right-handed, 8 o’clock for the left-handed, and the appendix area. Appendix carry is the most common position preferred by gun owners. This is because it’s located at your front and you are more adept on protecting and blocking what is in front of you. There are times that a weapon can be bulky, so you need to increase the size of your pants to cater the holster while being undetected. Indeed, IWB holsters don’t need longer jackets for concealment. If the weather is warm, there is no need for uncomfortable extra layers of clothing because your holster is not exposed. However, IWB holsters can be quite troublesome for women who wear skirts. For men, IWB holsters are superior because they always wear pants no matter what the length is. 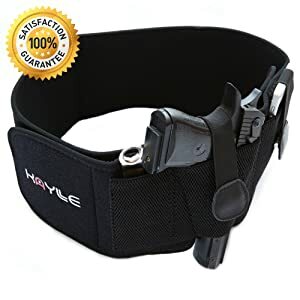 An ideal gun holster must have retention devices wherein the gun is still attached to your body and would make anyone difficult to get your weapon away from you. Not only that but also a retention device’s function is to keep the gun holstered when you do physical activities like jumping, running, or fighting. A retention device on a holster can be simple like a strap and a thumb break, or two of them for extra security. Other alternative for straps are the clips. Clips are convenient when it comes re-holstering but they can accidentally fall off when you draw your weapon. The gun should be easily drawn most especially in situations that demand high alertness and quick hesitations. That’s why the throat of an ideal IWB holster should be rigid to easily draw the gun and re-holster it again. You should only have one hand to re-holster the gun for better movements. In short, the holster should allow you for one-hand draws and unassisted re-holstering. Of course, all guns holsters are specific to what make and model the firearm is. The exception to this are the belly band holsters. This talks about a rigid material that covers the area around the trigger guard. The holster must allow proper grip even if the gun is in it, so extra material should be scrapped. This is also important that the material around the trigger guard won’t depress the trigger that could result to horrible accidents. IWB holsters all have ride height. This is about how deep can the gun be carried inside the waistband. The ride height should be optimal to the user. If it’s too low, it can be quite uncomfortable and blunders in drawing even if it has great concealment than ever before. If it is too high, the holster can be exposed and would be unstable while attached on your person. It is the upward extension of the IWB holster’s backing piece. The sweat guard or sweat shield’s main function is to keep the gun from directly rubbing on the skin. Otherwise, the user can be quite uncomfortable from the exposed metal of the gun and moisture against it can run the finishing. This also helps you for easy re-holstering of the handgun. Most gun owners prefer using belts because they are way more stable and secure than just clipping the holster to the waistband of the pants. Of course, this factor is largely dependent on the comfort of the user. You should consider using a belt with your IWB holster as the gun can be quite heavy along with the extra ammunition that you normally carry around. The weight can be uncomfortable moving around if you only use clips though. When it comes to concealed carry, you only need the best KYDEX IWB holster. 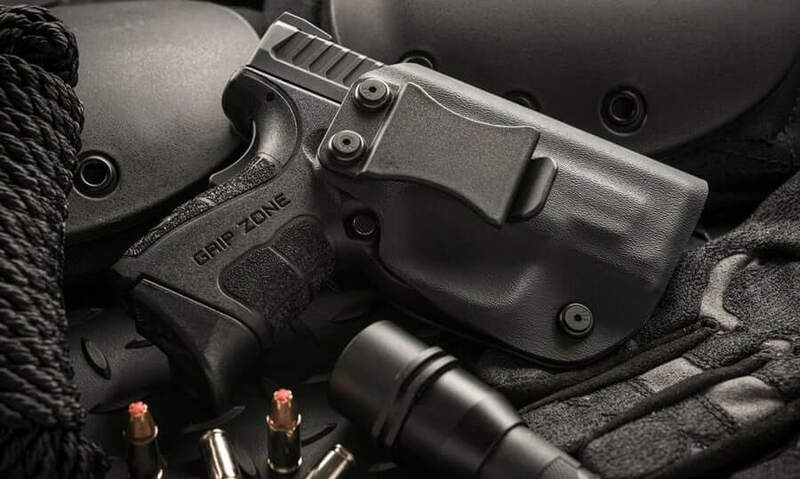 Do not just purchase any other holster as important considerations and numerous advantages of the KYDEX IWB holsters have been reiterated in this article. Picking gun holsters is likely the same with choosing guns, you need to be meticulous. What brand is the flat dark earth holster at the top of the page? I believe it has a springfield XD with gripzone in it. Im looking for a ITW holster for my Smith & Wesson Chief Special CS45 3.25 inch. Do you have anything that will fit my gun.